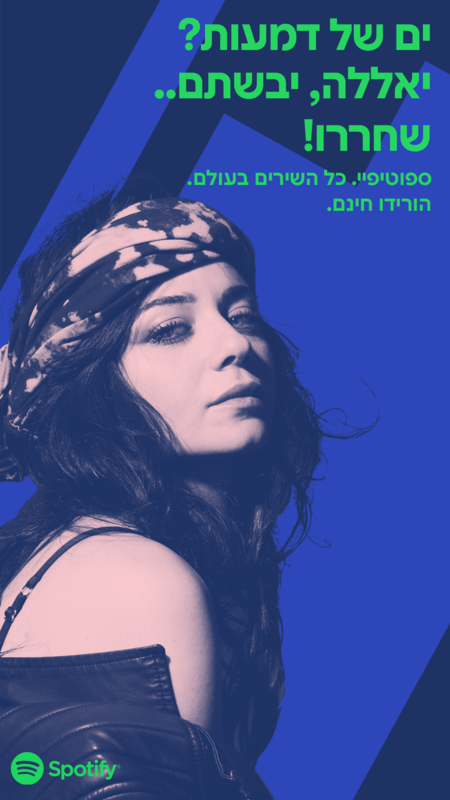 Being the music ehnthusiastics we are, and having been big admirers of Spotify for years, we were delighted to collaborate with the the world’s best and biggest streaming service as it made its first steps in Israel. 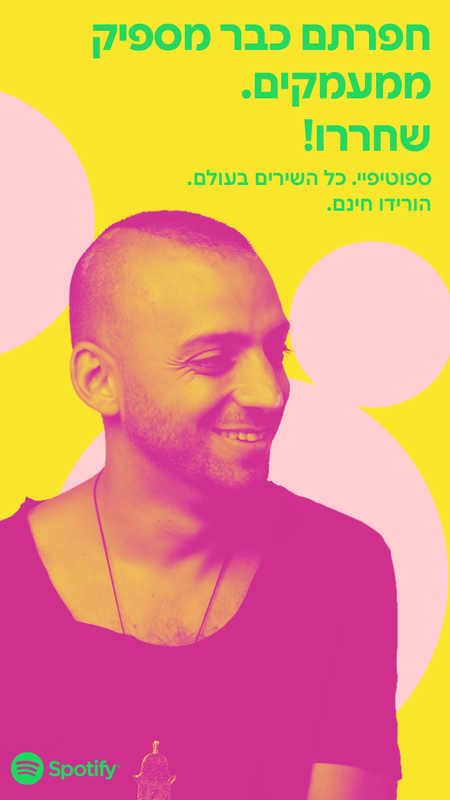 After a few preliminary strategic steps (mapping the Israeli music arena, the audience and the unique local challenges) we came up with the positive and fun creative – suggesting that Spotify allows artists to let go of their biggest hits, and enjoy a rich and endless catalogue. 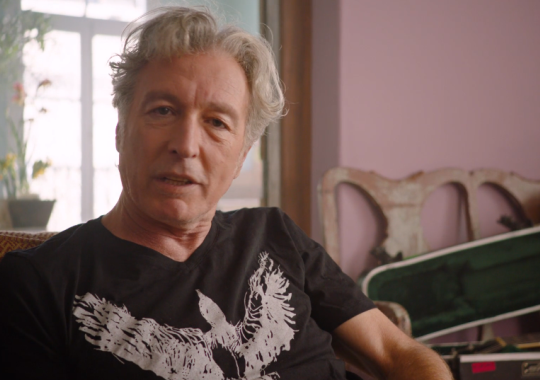 We created a video campaign starring Berry Sakharof and Hadag Nahash. The videos were featured on YouTube, Facebook, Instagram, Ynet, Walla and Mako, and together gained more than 7,800,000 views. 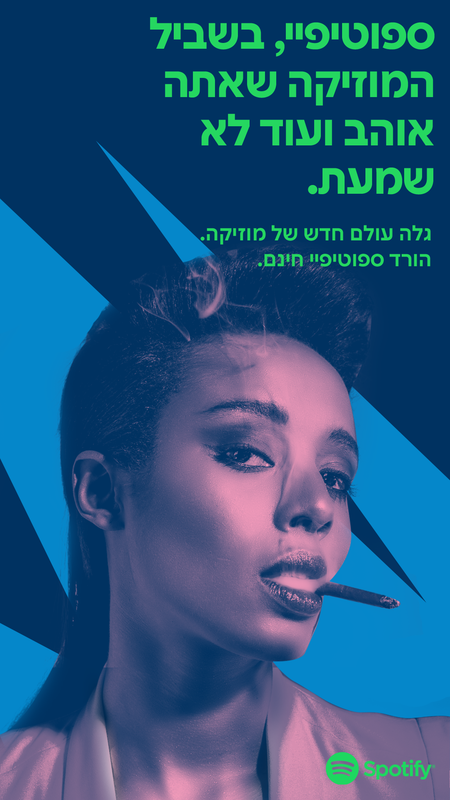 We also created a display campaign with the same creative, starring some of Israel’s leading musicians: Dudu Aharon, Ninet Tayeb, Hatikva 6, Nechi Nech, Ester Rada and more. The highlight of the campaign for us was working with Sakharof, for whom it was perhaps the first time to ever participate in a campaign. 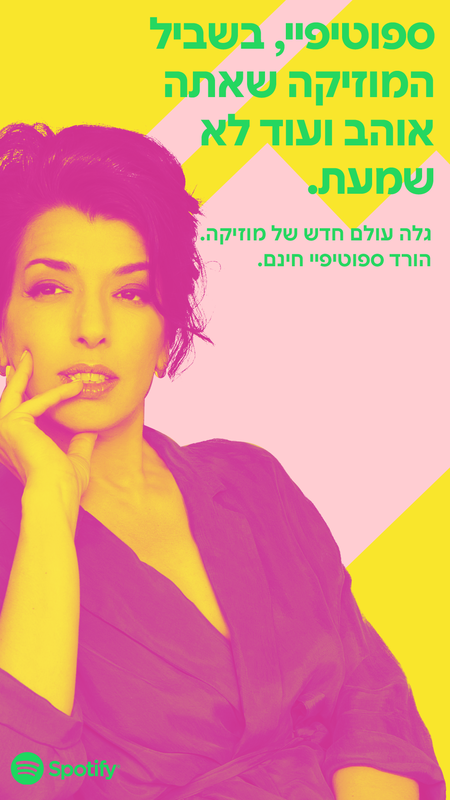 The videos were directed by the talented Maysaloun Hamoud (“In Between”).